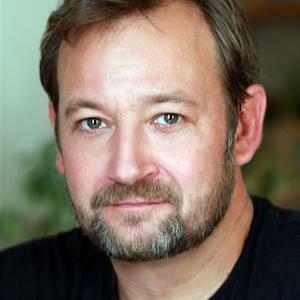 James Dreyfus is an award winning television, film and theatre actor. James has been involved in the following plays: The Master Builder (The Old Vic); Harvey (Haymarket Theatre); Candide (Menier Chocolate Factory (for which he received a WoS nomination for Best Supporting Actor in a Musical); The Vortex (Rose Theatre); Breakfast At Tiffany’s (Haymarket Theatre); Amongst Friends (Hampstead Theatre); The Common Pursuit (Menier Chocolate Factory); Cabaret (Lyric Theatre) (for which he received a WoS nomination for Best Actor in a Musical); Donkey’s Years (Comedy Theatre); The Producers (Theatre Royal Drury Lane); One For The Pot (Theatre Royal Windsor); Elizabeth Rex (Birmingham Rep); Lady In The Dark (Royal National Theatre) (for which he received the Olivier Award for Best Supporting Actor In a Musical); The Seagull (UK Tour); King Arthur (Centro Cultural de Belem); Julius Caesar (Birmingham Rep) (for which he received the Ian Charleson Award: Second Prize). James has been involved in the following television shows: Mount Pleasant series 2 -7; Father Brown; Shameless; Whitechapel; Midsomer Murders; The Sarah Jane Adventures; He Kills Coppers; My Hero; Double Time; The Lenny Henry Show; Waking The Dead; The All New Alexei Sayle Show; The Bette Show; Gormenghast; Gimme Gimme Gimme; Absolutely Fabulous; Thin Blue Line (for which he received the Award for Top TV Comedy Newcomer at 1997 Comedy Awards); Frontiers; and Paris. James has been involved in the following films: Scottish Mussel; Colour Me Kubrick; Churchill The Hollywood Years; Agent Cody Banks II; Being Considered; Notting Hill; Boyfriends; Richard III; and Thin Ice.